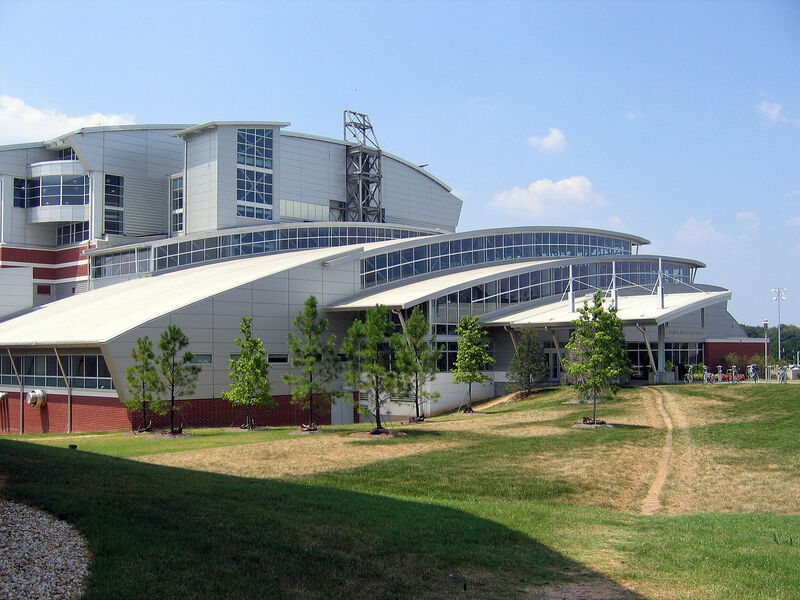 Renowned for its decades of cutting-edge research work and groundbreaking excellence in STEM courses, the Georgia Institute of Technology (or simply Georgia Tech) is a public research university located in a lush, sprawling campus of more than 350 acres in Atlanta, Georgia, USA. Georgia Tech is home to about 25,000 students, and owing to its immense popularity and reverence in academic circles, the university has opened several satellite campuses in France, Singapore, China and Ireland over the years, making a Georgia Tech degree more accessible to non-American students. 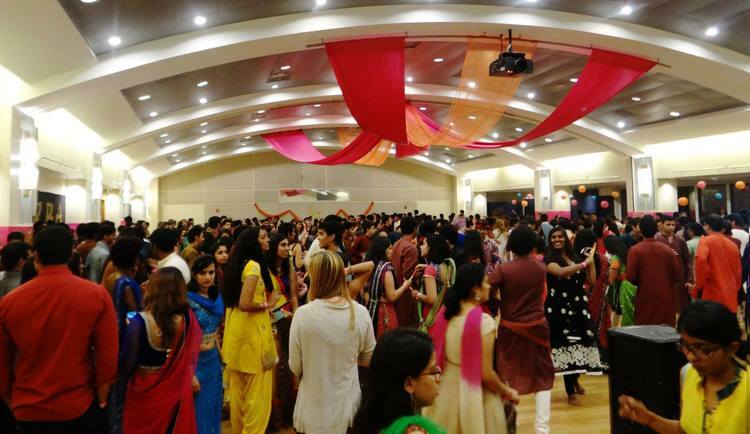 Georgia Tech has a vibrant Indian student body; most notably, the India Club at Georgia Tech promises to be a ‘home away from home’ for Indian students, routinely hosting mixers, cultural events, celebrations and parties to honour the rich tradition of Indian festivals. [LIVE from Georgia Tech]: Meet Bhanu joining us LIVE to share his 20-Day Admission Plan on 11 November, at 7 pm – Register Now! In fact, Indians form the second largest international student body in GA Tech after China. Though Georgia Tech maintains an acceptance rate of 35.2% which is high for it’s #7 ranking, it prides itself on handpicking the most promising minds in STEM to maintain its legacy of excellence. The students admitted to Georgia Tech are typically brilliant, ambitious and driven, and are expected to excel both academically and professionally. As a result, securing a place at Georgia Tech is a dream for many aspirants. What does it take to be admitted to this school? Your Passion – Why you want to pursue this course? Your Aspiration – What you aim to do with this degree? Your Qualification – How qualified are you to take on this degree? Your Achievements – What special activities relevant to this course should they know about? Learn how you can craft a game-changing SOP in this exclusive eBook that contains real-life examples of SOPs that got admits from Columbia & Cornell University. Apart from an essay about your goals, you will also require three letters from your professors or former employers on why you should be given an admit. This is called a Letter of Recommendation (LOR) and it helps to get a letter from people who you’ve directly worked with at college or office. It is an added bonus if your LOR reflects some of the work you mention in your SOP as it becomes a testament to your work. Depending on the course chosen and whether you opt for a research-oriented or coursework-oriented programme, you may be asked to furnish proofs of any research papers, publications and theses written, in addition to the above material. Since its inception in 1885, Georgia Tech has expanded its vision, and over the past century, has started offering degrees in business, architecture, design and urban planning. However, it continues to attract the most students for its highly competitive engineering and computer science courses. 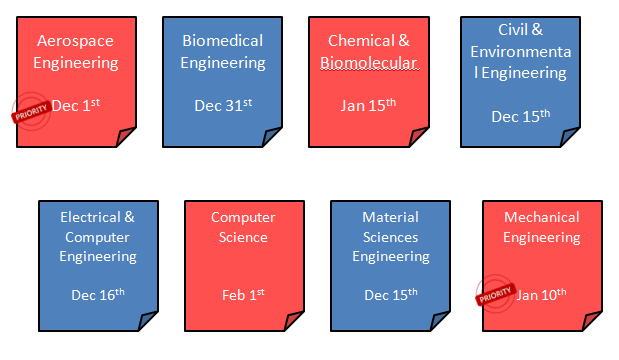 Deadlines to apply for graduate school at Georgia Tech generally vary from department to department, so we recommend you keep an eye on the concerned department’s website to know when applications open and close. Being a public research university means that fees at Georgia Tech are significantly lower than those at private schools. For an International student, the tuition fees per semester for Fall 17 is $15,289, or about ₹10 lakh. The fees are subject to a marginal increase every year. To make your education more affordable, Georgia Tech offers a number of fellowships and assistantships to its graduate students, including the President’s Fellowships and Georgia Tech Institute Fellowships. Student assistantships provide a stipend and a lower tuition fee rate to the deserving candidates. For further information on loans, scholarships and bursaries, please check out this link. She aims to create a unique product that can enhance music education through Human Computer Interaction (HCI). While her course is unconventional, it demands her to have a stellar profile to get selected. Added to this was her extensive work experience building a B2B portal from scratch for a company called Desein Indure Private Limited. With her stellar profile and interesting story, Jyoti was able to clinch a Spring ’17 admit from Georgia Tech! Excited about applying to Georgia Tech? First, read on about what it’s like to be a student at this prestigious school! 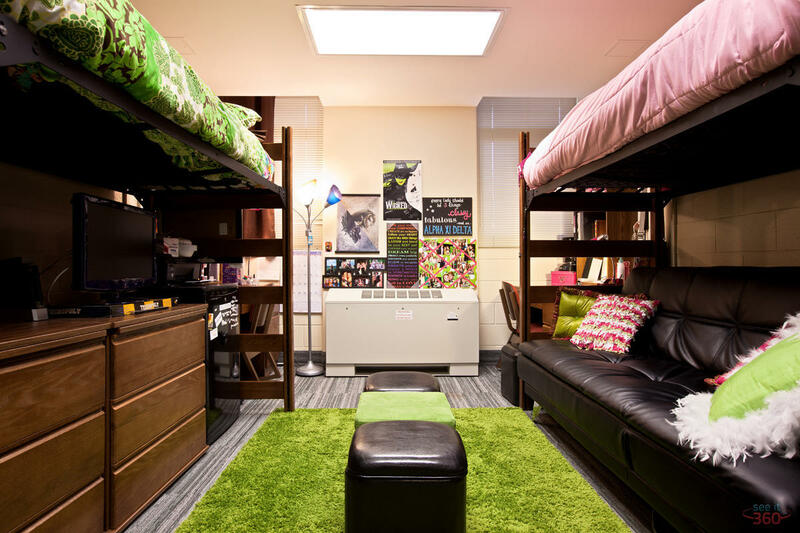 A number of student residence halls are available on campus, including traditional, suite and apartment-style rooms. All the resident halls come comfortably equipped with furniture, WiFi, pest control, utilities and laundry services, to make your stay a pleasant and comfortable one. The residence halls are designed to foster a sense of community and oneness among students, and to help foreign students find a home away from home. Georgia Tech prides itself on its round-the-clock campus health service, making it easy for students to seek out professional, comprehensive mental and physical health care. Additionally, the Georgia Tech Police Department (GTPD) is a certified law enforcement squad which patrols the campus 24×7 in order to maximise safety for students. The LiveSafe is a powerful safety app designed exclusively for Georgia Tech students, and may be used in times of distress or emergency. Dining at Georgia Tech offers a plethora of choices which will have you spoilt for choice, including vegan, gluten-free and dairy-free options for those who require it. In addition to three dining halls and several food trucks parked around the campus, students also have access to famous food chains like Taco Bell, Starbucks and Subway. Additionally, you may also opt for the meal plans designed for various palates and preferences. With more than 400 student organizations, 17 men’s and women’s sports teams, and 37 arts and culture organisations, GA has something for everyone and allows every student to excel outside the classroom. Additionally, GA has its own host of student media, be it WREK 91.1 FM, the campus radio, Technique, the college newspaper, or Erato, the art and literary magazine. Student government options, too, are aplenty, and give you the opportunity to be in charge of student welfare and happiness. Located at the heart of Atlanta, the Georgia Tech campus truly combines the best of both worlds. While the four hundred acre of the campus is lush, green and wooded, the city of Atlanta is a wonderfully multicultural experience, with a thriving entertainment and cultural scene, and a booming business and innovation hub. Be it sports, music or food, Atlanta brings together the best of American multiculturalism, for an unforgettable student experience. The C2D2 may sound like an android from the Star Wars universe, but it is actually the name of Georgia Tech’s Career Centre. The Centre for Career Discovery and Development, fondly called the C2D2, is the main hub of all career development and professional assistance at Georgia Tech. 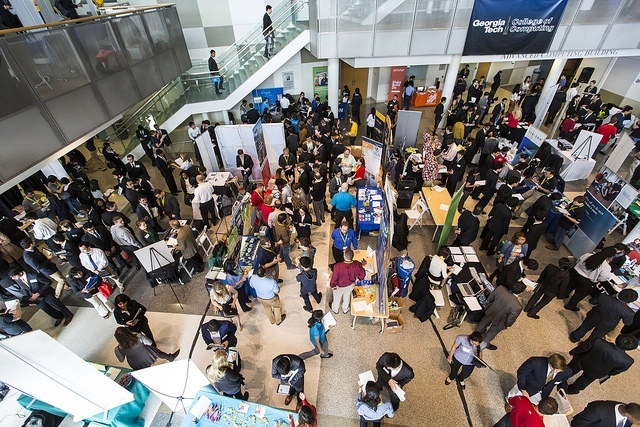 Right from helping with resume drafting and organizing grooming sessions and career fairs, the C2D2 is dedicated to enhancing the professional prospects of its students. The C2D2 also offers a wide range of internship and volunteering opportunities to those who want to make a difference to society. We hope you found this university review handy and useful. 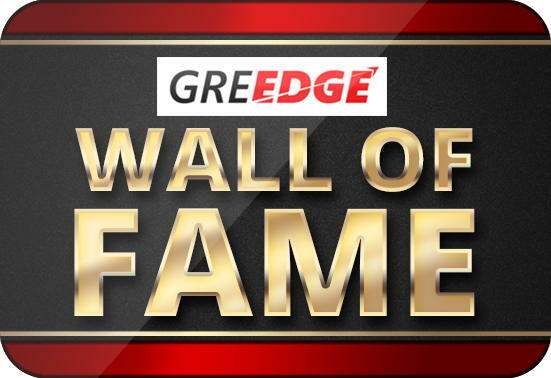 For further queries on applying to Georgia Tech for Fall 18, get in touch with the admission experts at GREedge for any help with applications. What university should we review next? Comment below & let us know! The information provided is wonderful. I am aiming for a GRE score of 320 and have 87 percent in CSE. When should I start my applications for making it in time for ASU computer science dept. And Georgia tech CSE department?